It is a morning ritual that a significant number of people experience every Monday through Friday. No, not the daily Starbucks run, but the time we spend riding up to our offices in an elevator. It seems like a good time to say good morning to people and exchange some basic pleasantries. However, most of my fellow riders are engrossed in other things and avoid making any eye contact. I honestly believe the smartphones that have captured all of their attention is a tactic to avoid the scariest thing imaginable, genuine real-life human contact. 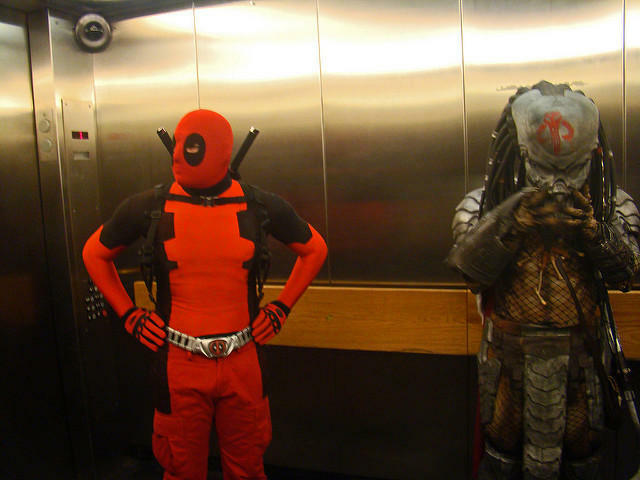 Do not miss an opportunity to engage briefly with people while riding the elevator. Most people do not expect it, and that is half the fun. Be the one to break the silence and start the conversation. The dialogue will begin to naturally flow from that point forward. Every day, I make a point to say “good morning” to my fellow elevator occupants. When I disembark, I politely wish everyone a pleasant day. I smile and try to start my day off in a positive and upbeat fashion. I do not want to be the cranky person that darkens the moods of my fellow office building citizens. So far, most people are willing to engage in small talk, as long as they do not have to start the conversation. This morning I rode with a person whom I have spoken with six or seven times over the last two months. I started the conversation, and we exchange pleasantries until we arrived at my floor where I disembarked. I do not know if the feeling is mutual, but I think we had a pleasant conversation and a good start for the day. It is possible that I am completely misguided. Maybe all these individuals whom I ride the elevator with think that I am just some nut job sufferings from an overabundance of morning enthusiasm. I am quite convinced that my children believe this is the case. I will keep chatting my way through the elevators to improve my small talk skills and to meet interesting people inside the building.